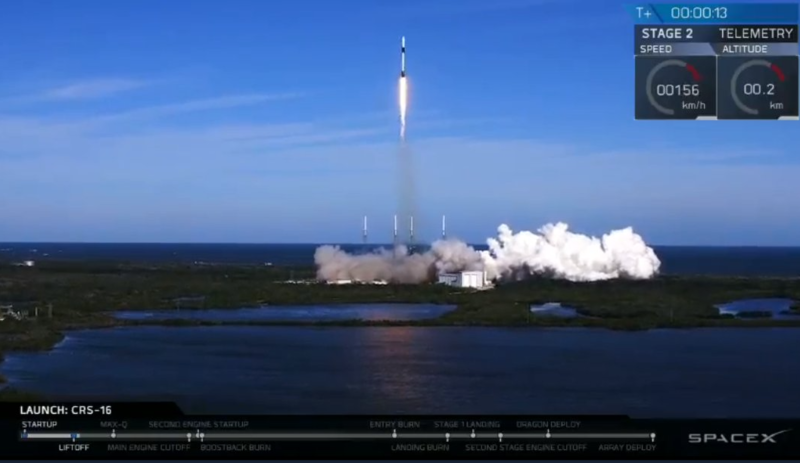 This was a momentous week for SpaceX after a successful launch of 64 satellites from 17 countries on Monday, then today SpaceX launched its sixteenth commercial resupply services mission to the space station from Cape Canaveral Air Force Station in Florida. There are onboard SpaceX’s Dragon spacecraft a record-breaking more than 20 payloads sponsored by the International Space Station (ISS). This mission represents a diverse combination of science and technology research with the capacity to benefit life on Earth that include crystals, barley, and dental glue, among other things. The Dragon spacecraft that supports the CRS-16 mission previously supported the CRS-10 mission in February 2017. Contrary to Monday's performance by Falcon 9, when the first stage returned and landed perfectly on the 'Just Read the Instructions' drone ship in the Pacific Ocean, making it the third successful return for this Falcon 9, SpaceX was unable to recover Falcon 9’s first stage on Landing Zone 1 (LZ-1) at Cape Canaveral Air Force Station, sending it into the Atlantic but first reports indicate it is undamaged and still transmitting. 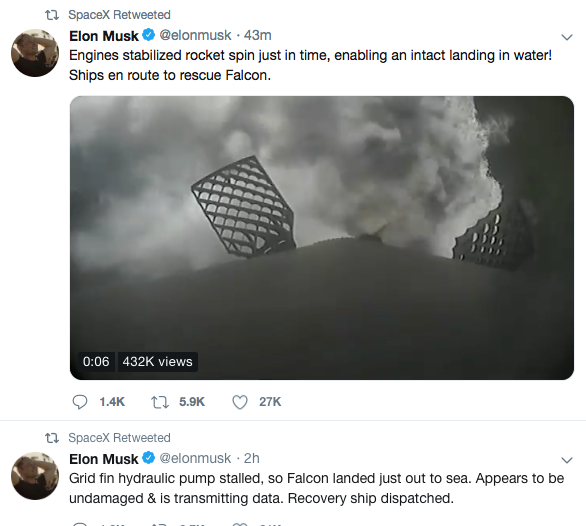 A recovery ship was dispatched. Dragon will be filled with more than 5,600 pounds of supplies and payloads, including critical materials to directly support more than 250 science and research investigations that will occur onboard the orbiting laboratory. 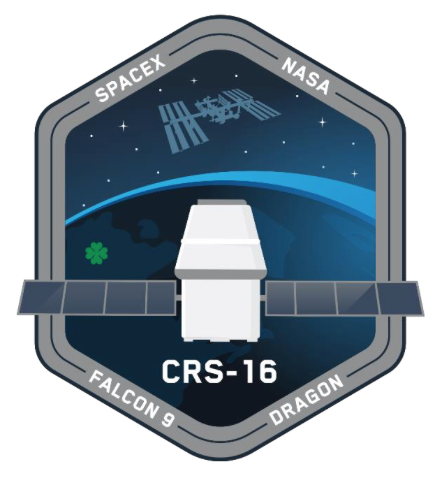 CRS-16 is the sixteenth of up to 20 missions to the International Space Station that SpaceX will fly for NASA under the first CRS contract. In January 2016, NASA announced that SpaceX’s Falcon 9 launch vehicle and Dragon spacecraft were selected to resupply the space station through 2024 as part of a second Commercial Resupply Services contract award. Under the CRS contracts, SpaceX has restored the United States’ capability to deliver and return significant amounts of cargo, including live plants and animals, to and from the orbiting laboratory. A variant of the Dragon spacecraft, called Crew Dragon, is being developed for U.S-based crew transport to and from the space station. On Saturday, December 8, International Space Station crew members will use the station’s 57.7-foot (17.6-meter) robotic arm to capture the Dragon spacecraft and attach it to the orbiting laboratory. Below are highlights of sponsored ISS National Lab investigations that are part of the SpaceX CRS-16 mission to the space station. Space Center Houston, the official visitor center to NASA’s Johnson Space Center, runs a five-day engineering design program called Space Center University. Students from Immaculata Catholic Middle School in North Carolina were selected to test a MixStix experiment focused on genome editing technology onboard the ISS. The experiment consists of a MixStix divided into three sections that contain the DNA, nuclease, and stop solution. Purified ASCUS nuclease will be mixed with plasmid DNA for one hour before a stop solution is included. When the MixStix is returned to Earth, the students will evaluate how these products reacted with one another. This student experiment explores the behavior and fluorescence of bacteria containing the p-Green plasmid. By imaging the expression of transformed bacteria, the effects of microgravity on the process of transformation and fluorescence can be examined. Recombinant bacteria (E. Coli) expressing a variant of green fluorescent protein (GFP) are valuable models for transgenic and genomic studies. By understanding the influence that the space environment may or may not have on the process and expression of transformation could provide important information for future studies regarding genetic modification and long-term space travel. Further, information may be gained about the mechanism by which bacteria are able to overcome environmental stressors such as exposure to the space environment. This investigation implements a microscale malting procedure in a spaceflight environment. The payload will examine the steeping (rapid hydration), germination, and kilning (drying) processes associated with malting barley. The resultant malt will be examined upon return against an Earth control. Barley is an important grain used in a large variety of products, from bread to beer. Results from this research could help the company develop new malt barley varieties that are more tolerant to extreme stress environments. It could also provide valuable insight for the general agricultural community. This investigation aims to examine microbial biofilms on Earth and in space to observe and quantify the rate of microbial corrosion as a function of cell density and activity. Localized corrosion caused by microorganisms (referred to as microbiologically influenced corrosion, or MIC) is responsible up to half of all damage caused by corrosion, according to the National Association of Corrosion Engineers International, and translates to $485 billion–$1.5 trillion in annual costs globally. One of the challenges in preventing MIC has been to define the conditions when a biofilm is likely to cause localized corrosion versus when it is not. By conducting an experiment in which biofilms are established on Earth and on the ISS and monitoring the rate of microbial corrosion, investigators expect to gain insight into the degree to which the density of cells in the biofilm or the activity of individual cells impacts the corrosion rate. This data will inform new methods to effectively mitigate against MIC on Earth and on the ISS. The CubeSat Assessment and Test (CAT) investigation is led by the Johns Hopkins University Applied Physics Laboratory and uses two commercial off-the-shelf spacecraft to support a government-furnished equipment communications experiment to be launched from the International Space Station. This project, which is part of the RAS Initiative at the Frederick National Laboratory for Cancer Research, seeks to utilize the microgravity environment of the ISS to crystallize the KRAS gene—mutations of which account for many cancers, including 95% of pancreatic ductal adenocarcinoma, a third of non-small cell lung cancer, and up to half of colorectal tumors. Obtaining high-quality crystals of full-length KRAS proteins on the ground has been difficult, and crystals grown in microgravity are often larger and more well-ordered than Earth-grown crystals. The research team aims to crystallize unmodified full-length KRAS as well as cancer-causing KRAS mutants and KRAS proteins complexed with various small molecule inhibitors. Mutations in of the RAS family of genes are responsible for more than 30% of all human cancers, including some of the deadliest (and most costly to treat) cancers such as pancreatic, lung, and colon cancers. However, after decades of research, there are no RAS-targeting inhibitors in clinical use. KRAS is the most frequently mutated member of the RAS family. Determining the structure of KRAS could lead to novel innovative approaches to prevent and treat cancers associated with this gene. Each year, cancer costs $895 billion globally. Delphini-1, a one-unit CubeSat equipped with a ultrahigh frequency antenna and a high-performing camera system, was developed in a close collaboration between nanosatellite company GomSpace and students at Aarhus University. This project seeks to validate that Delphini-1 can be launched from the ISS and operate successfully. Students helped design, integrate, and test Delphini-1. They also established a ground station and operations center at Aarhus University and helped develop payload software and a model for mission planning to perform time series visual photometry for a number of bright stars to measure the intrinsic noise limit for the camera-CMOS-system. This validation project seeks to establish long-term plans for GomSpace and Aarhus University for future use of nanosatellites. Using arugula grown on the space station, this student investigation will examine how light and gravity affect plant growth. Previous research has shown that gravity and the amount and color of light affect the growth and direction of roots and stems. The investigation compares the growth of rocket arugula (Eruca sativa) seeds in a clear medium and in a medium that blocks a specific wavelength of light. The results of this experiment could help provide a better understanding of how to grow food in space, which is vital to living and working in space. This investigation seeks to validate the thermal and electrical capabilities of the Powered Ascent Utility Locker (PAUL) facility, a reconfigurable experiment system that provides power to payloads on ascent. Such a facility would enable investigations that were previously hindered because they require thermal or electrical capabilities during ascent. LambdaVision seeks to improve the quality and efficiency of the manufacturing process for a protein-based retinal implant designed to restore vision to those blinded by retinal degenerative diseases such as retinitis pigmentosa (RM) and age-related macular degeneration (AMD). The retinal implant consists of multiple layers of the light-activated protein, and production in microgravity could improve overall uniformity and the stability of the multilayer system. RM and AMD diseases damage the photoreceptor cells of the eye and eventually lead to blindness. No cure currently exists for patients with RP or AMD, and limited treatments are available. The cost of vision problems in the U.S. is estimated to be $139 billion. This project will generate information on the effects of gravity on the manufacturing of retinal implants, help accelerate time to market, and enable key decisions to deliver consistent manufacturing of high-quality films for commercialization of the retinal prosthetics. This student experiment is focused on a radiotrophic fungus that harnasses radiation as a source of energy to sustain growth. By placing a sample of this fungus on an agar plate and exposing it to the space environment, the rate of growth and life cycle of the fungus can be observed, providing insight into the feasibility of using radiotrophic fungi as barriers to protect against damaging radiation. This project aims to test the functionality of a tanker that can refuel spacecraft in orbit from a collapsible fuel tank, which can be launched compressed and then filled in orbit. Launch vehicles have unused launch mass due to contingency mass held in reserve for potential changes to primary payloads. This unused launch mass could be used to launch fuel for spacecraft, such as satellites. Spacecraft could save on launch mass and volume by launching with compressed tanks that are filled once in orbit. The satellite servicing industry is estimated to be worth $3 billion by 2027. This student experiment aims to study the morphology and physiology of the germination of four different microgreens within modular growth chambers in microgravity. The seeds will be placed under automatic growth lighting conditions to provide day and night lighting cycles that simulate terrestrial lighting. While imaging and numerous environmental sensors provide incremental evaluation of the plant growth on the space station, multiple terrestrial control experiments will be conducted for comparison. This investigation demonstrates modular, autonomous and retrievable crop research in space by contributing to the understanding of plant cultivation in food, oxygen, and other habitat requirements on long term space missions. This experiment also provides insights on plant growth under unusual conditions and can inform crop science, basic biology, and horticultural applications on Earth. This student experiment seeks to explore an alternative method for watering plants in the absence of gravity. Aeroponic farming utilizes a misting device to deliver water to the plant roots and an air pump to blow excess water off of the roots. In space, aeroponic farming has advantages over other methods of watering plants that are gravity dependent. The project aims to test mister behavior in microgravity, specifically, how the water behaves immediately after it is ejected from the head of the nozzle and how moving air affects the water on the roots in the absence of gravity. Too much water is just as bad for plants as too little water, and root rot from over watering can be a problem when growing plants in space. Results from this experiment may have profound implications for both the future of spaceflight and for life on Earth by enabling humans to grow fruits and vegetables in microgravity and eliminate a major obstacle for long-term spaceflight. This project was selected from the joint science, technology, engineering, and mathematics (STEM) challenge in partnership with Marvel Entertainment and the ISS National Lab. Staying healthy in space is extremely important. A broken tooth or a lost filling is painful on Earth, but in space it can be detrimental to an astronaut’s health. This student experiment intends to analyze the effectiveness in microgravity of a dental glue that is activated by UV light. The team proposes to treat simulated, broken teeth with the dental glue, expose them to UV light, and observe them onboard the space station. Soldering in microgravity results in weaker bonds due to air bubbles, and the team wonders whether the same will happen with UV activated glue. This project was selected from the joint science, technology, engineering, and mathematics (STEM) challenge in partnership with Marvel Entertainment and the ISS National Lab. This tissue chip project aims to investigate the relationship between an individual’s immune aging and healing outcomes and to investigate the biology of aging from two perspectives—one during observations of immune function in microgravity and then during recovery of the cells after return to a 1g environment. Aging is associated with dysregulation of the immune response (termed immunosenescence), a condition that may also be accelerated by prolonged exposure to microgravity. The older adult population accounts for more than 90% of influenza-related deaths, in part a result of increasing dysregulation of the immune system with age. Utilizing this unique platform, the investigators hope to understand the dysregulation of the immune system more fully with the goal of developing additional treatment options for the elderly and immuno-compromised patient populations. This educational investigation includes four student-designed experiments: one examining the antifungal properties of aloe vera; one studying the antibacterial properties of several common household spices such as turmeric, garlic, and ginger; a third studying enzymatic reactions; and a fourth analyzing the power-output of a cyanobacterial biofuel cell that could potentially have a significant impact on the generation of sustainable energy. The ISS National Lab has initiated a program of planned rodent research (RR) reference missions with the objective of making spaceflight tissues and data available to future pharmaceutical, biotechnology, National Institutes of Health, and other ISS National Lab researchers and organizations. The goals of this program are 1) to build on ISS rodent research already performed, 2) establish and thoroughly characterize potential rodent disease models in microgravity that can be interrogated for commercial and applied research purposes, and 3) collect and archive rodent tissues and data sets that can be made available to current and future ISS National Lab users. Slingshot is a satellite deployment system platform built by SEOPS that utilizes ISS cargo launches. Slingshot customers fly as cargo on ISS resupply missions, and are deployed after the primary cargo mission is completed. Additionally, these satellites are deployed to a higher altitude of 500 km, which has the potential to extend satellite lifetime by approximately two years. UbiquitiLink seeks to verify and validate the technical viability of a space-based cell tower compatible with existing cellular devices to provide cell access to areas on Earth that currently have no connectivity to ground-based towers. A nanosatellite containing UbiquitiLink’s telecommunications payload antenna will be deployed from the resupply spacecraft after completion of its primary cargo mission to the space station. 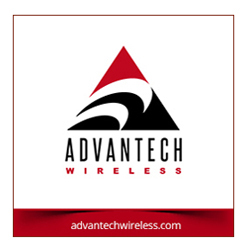 Once deployed, the antenna will be used to test the ability to send and receive Short Message Service (SMS) messages between devices in areas without ground-based connectivity. If successful, UbiquitiLink’s space-based cell tower could enable real-time global cellular communications anywhere on Earth. This project will build on TIME’s Emmy-nominated “A Year in Space” series to create a new virtual reality (VR) and video series called “Spacewalk: A VR Experience” that will document the journey of astronauts as they train for and then execute a spacewalk from the ISS. TIME and LIFE VR will use specialized VR camera systems to capture ground footage of astronauts training in the Neutral Buoyancy Lab and flight footage on the ISS of crew members going through the airlock and completing tasks during a spacewalk. The video series will not only be entertaining but also educational, and the project includes the development and distribution of complementary curriculum through TIME for Kids for classroom integration. The series will be promoted and distributed across TIME’s print, digital, and social media platforms, which achieved more than 1 billion streams in April 2017. The goal is to provide TIME’s vast audience with multiple entry points to the intimate first-person experience of a spacewalk. TechEdSat-8 was built as a joint project between San Jose State University and the University of Idaho as a collaborative engineering project, with oversight from NASA’s Ames Research Center. It is a technology demonstration mission that will further develop and demonstrate the Exo-Brake system through full recovery of a payload. This MixStix investigation supports a middle school student-derived research question and uses the proposed experiment as an extended learning opportunity in the classroom. This student experiment seeks to determine whether microgravity alters the ability of coffee to destroy the cariogenic (tooth-decay causing) oral bacterium Streptococcus mutans at a concentration that is typical for human consumption. As crew members consume coffee in space, investigating the effect of coffee and its potential to destroy Streptococcus mutans in microgravity may provide important insight into the utility of coffee in supporting oral health during spaceflight. Sepsis, or systemic inflammation, is usually caused by exposure of an open wound to contaminated surfaces and represents a costly healthcare burden. It is one of the most expensive conditions treated in U.S. hospital stays, with an aggregate cost of more than $15 billion. This project seeks to improve the process of antibiotic release from a novel patch that can treat military combat wounds and reduce the occurrence and severity of sepsis. This novel patch contains a hydrogel with inherent antimicrobial properties that can promote healing of a wound while acting as a scaffold for regenerating tissue. Reduced fluid motion in microgravity will allow for more precise studies of this hydrogel behavior and its controlled release from the patch. The University of Southern Indiana received an Undergraduate Student Instruments Project grant from NASA to complete a small satellite focusing on NASA-specific goals. UNITE brings together students studying electrical and mechanical engineering, physics, and computer science. The main goal of the project is to measure plasma in the lower ionosphere, a relatively unexplored region of space. Students will create a thermal model for comparison with temperature sensor data collected during flight. An additional goal is for students to model orbital decay to better understand spaceflight dynamics within the lower ionosphere.